We’re very excited to announce that our brand-new AR feature is now available for iOS users signed up to Hole19 Premium. 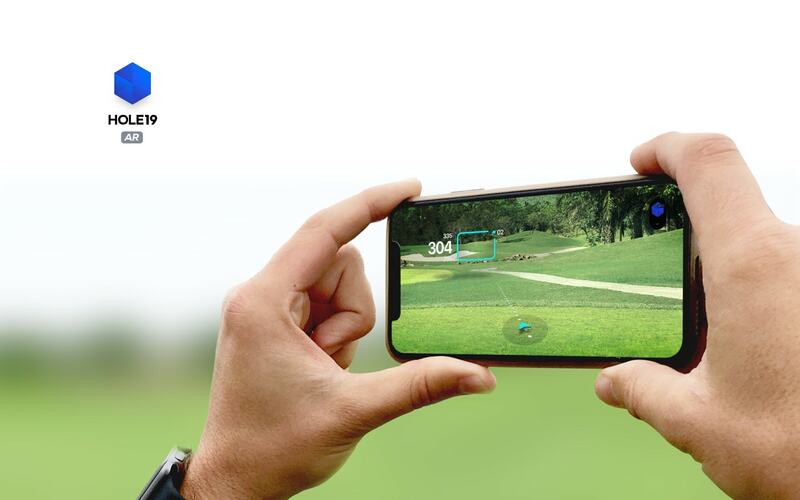 Using this revolutionary new feature, the Hole19 app now allows you to become immersed in a completely different experience using augmented reality to give you a 360º view of the golf course. That's right H19ers, the future has arrived! 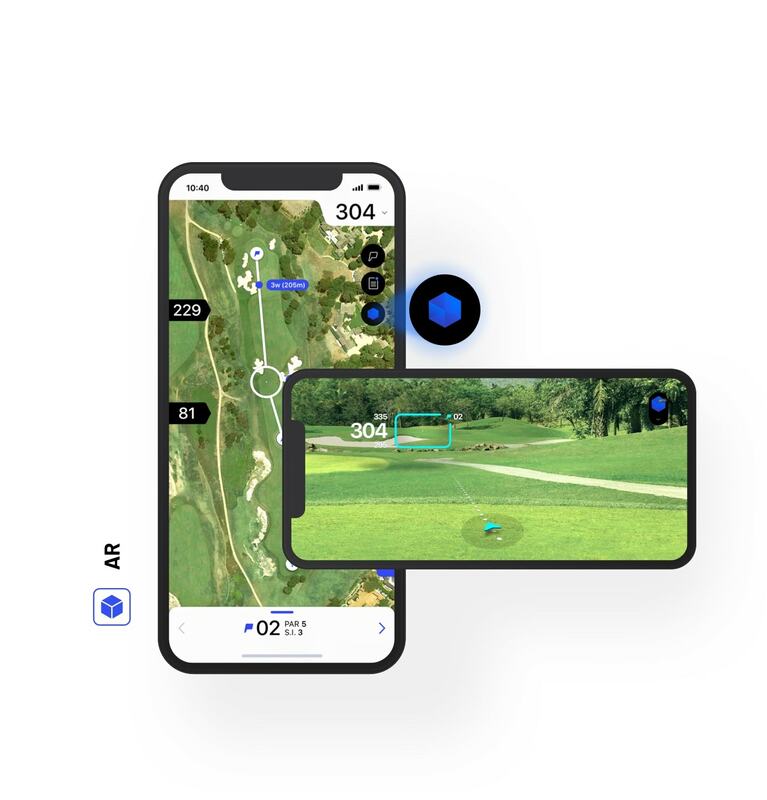 Using your device’s camera, you will be able to see distances to the front, back and centre of the green on the 42,000+ golf courses we've mapped throughout the world. That's not all, if you're having trouble finding the line, the new feature will show the direction in which you should play your ball. Of course, AR can't hit the ball for you, but knowing the line to the green and the accurate yardage thanks to the app's inbuilt GPS distance tracker will remove one extra layer of doubt as you get ready to pull the trigger. Hole19 AR uses your device’s camera to find the green. With this feature, you can now more easily plan your next shot - even when the green is hidden. Doglegs need not be a problem anymore! Select one of our Scoring Modes and start a new round. Once on the hole's map, tap the ‘AR’ icon (blue cube on the top right) to find the green direction and see distances to the front, middle and back of the green. Use the same icon again to return to the flyover view. We know you'll be eager to try this new feature so you won’t want to miss our Black Friday Offer: Get a 50% discount on a 1-year Premium Subscription! 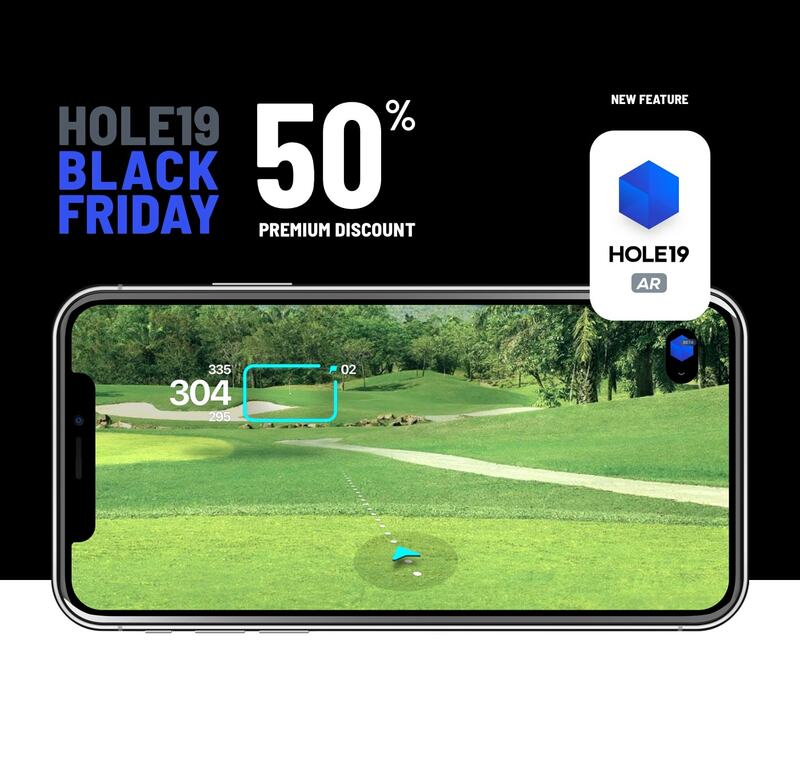 Use code BFRIDAY18 on the Hole19 Website and get access to AR, Siri Shortcuts and all of our other game-enhancing premium features! NOTE: BFRIDAY18 promo code can be redeemed via the Hole19 Website only. We also have a 50% discount for 1-year subscriptions via App Store (introductory price for members that have never tried Premium before), which is available from November 22 to 30, 2018. Go to the 'More' section on your Hole19 App if you prefer to subscribe using your Apple ID and if you have never had a trial or premium subscriptions before (no promo code is required). Website offer is available for ALL Hole19 members.